Paying homage to Art Deco. This lamp is made from mild steel and then plated in satin nickel chrome. 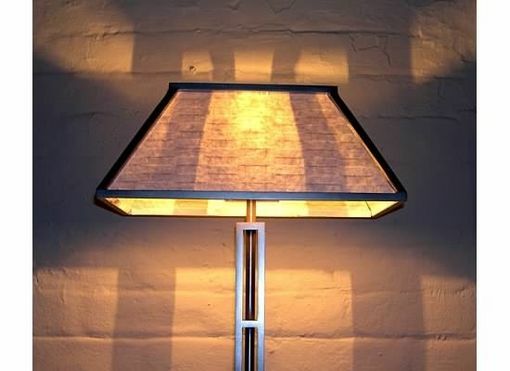 The shade is made from steel and handmade paper. This piece is flawlessly crafted and features crisp clean lines. A great addition to any room. Approximate dimensions are. 70hx12w,12d.